BACE League began in late May 2014. At the time, City Council had just passed first reading of a zoning ordinance that required all new late night establishments to close at midnight, thus converting existing late night establishments open past midnight into non-conforming uses. Local attorney and musician Elliott A. Smith was invited to a meeting called by Warehouse owner James Groetzinger. The meeting was attended by about twenty Charleston residents from a broad spectrum of backgrounds: business owners, musicians, art gallery owners, bar tenders, and F&B professionals (hence the name BACE – "Business, Art, Civic Engagement"). Smith was immediately struck by the tone of the conversation in the meeting. 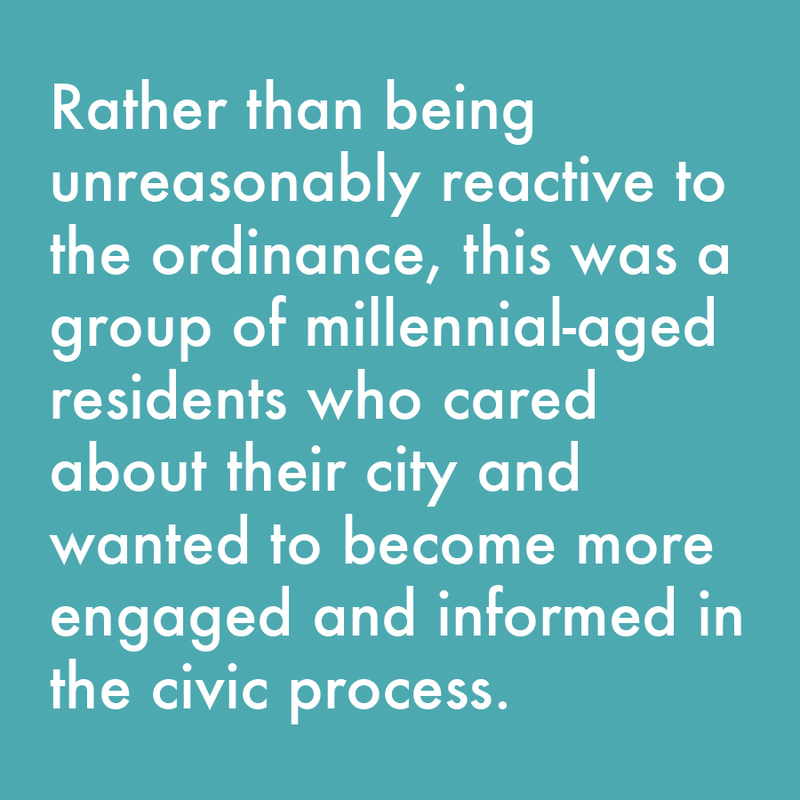 Rather than being unreasonably reactive to the ordinance, this was a group of millennial-aged residents who cared about their city and wanted to become more engaged and informed in the civic process. With a background in business, law, and policymaking, Smith offered a plan: If you want to become more engaged, you have to (1) become organized as a legitimate voting block; (2) appoint a liasion to begin regularly engaging with city officials; (3) demonstrate political sophistication regarding local issues; and, most importantly, (4) vote. The group enthusiastically supported the idea, asked Smith if he would be willing to undertake the project, and Smith agreed. Shortly thereafter, Smith introduced himself and the group to Mayor Riley, Tim Keane, and Vanessa Maybank-Turner during a packed public hearing in the Charleston Museum, and the group was off and running. Smith brought in fellow attorney Parker Hastings as an additional spokesperson and counsel, the group incorporated as a nonprofit, and then appointed a Board of Directors. BACE developed two goals early on: (1) short term, to have a seat at the table in the Midnight Zoning Ordinance discussion, and; (2) long term, to help generate a broader civic engagement movement among millennials, creatives, and F&B professionals. Short term, Smith was appointed to both the Midnight Zoning Advisory Board, and the Late Night Activity Review Committee. Long term, BACE demonstrated significant success in engaging young people in civics through organizing voter registration rallies, developing a good working relationship with city officials, and putting together the first-ever F&B Mayoral Forum with partner Butcher & Bee.